Klaus Reichwald passed away peacefully at his home in Kelowna on March 31, 2018 at the age of 78. Survived by his loving wife, Lydia of 56 years; son David and his wife Kate and daughter Kari. Klaus came to Canada from Germany with his parents Friedrich and Gertrude Anna and his brother Manfred (Fred) in 1956. They settled in Edmonton where they set out to start a new life. Klaus got a job in construction while Fred went to high school. A year or so later, Klaus started his electrical apprenticeship in Edmonton and ultimately received his journeyman ticket. A short time later, he completed exams to become the youngest master electrician in the province at that time. In the meantime, Klaus met Lydia in Edmonton at the Trinity Lutheran Church and they were married in March of 1962. Klaus received a job opportunity and they decided to move to Calgary in 1962. A fortuitous meeting with Dennis Tucker in 1963 led Klaus to start a new job with Western Electrical in 1964, which marked the beginning of his 54 year career with the company. Having settled in Calgary, Lydia and Klaus raised two children, David and Kari, and enjoyed their new life there. 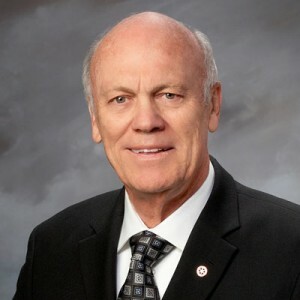 His career at Western Electrical led him to the role of President and through his hard work and dedication helped to build a successful electrical contracting company in Alberta. He developed strong and lasting relationships with employees, clients and suppliers and was known for his honesty, fairness and integrity. In 1980, Klaus was invited to join Rotary in Calgary and remained an active member all his life. In his later years, he became active in other charitable organizations as he believed in giving back to the community as Canada had given him and his family so much opportunity. Klaus and Lydia enjoyed travel which took them to many places including China, Australia, Russia and throughout Europe. His trips to Germany to see family and friends were always a highlight. In his later years, he became an avid reader. 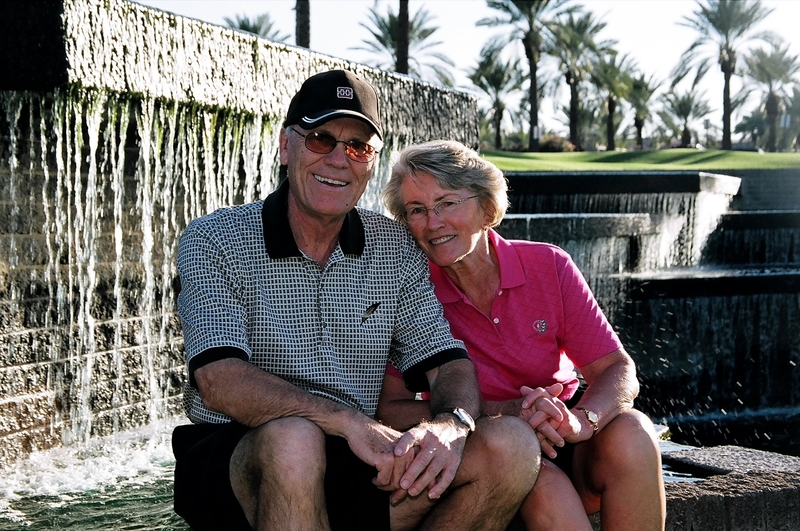 Golfing became an active pastime for Klaus and Lydia as they spent time in Scottsdale and Kelowna. He always enjoyed working on his house and yard and having friends and family come by, especially to enjoy Lydia’s cooking. He loved nothing more than his early morning coffee overlooking Lake Okanagan. In November 2016 he was diagnosed with pancreatic cancer and died in March 2018 having enjoyed a good life. In lieu of flowers, donations may be made to Pancreatic Cancer Canada, www.pancreaticcancercanada.ca or to pancreatic cancer research where ever you live. The service for REICHWALD, Klaus is scheduled for Friday, April 20th at 1:00 pm. Below you will find the map for the service location and the contact information should you have any questions. Lydia I am grieved to hear that Klaus has died. David and I always enjoyed your friendship, whether at golf or at your interesting dinner parties. Now our dear husbands have passed on. My condolences to you and I am happy that your family was there for you both. I shall remember Klaus with great fondness. He was a very kind and generous man. I am so very sad that Klaus has passed. There was never a moment that my long association with you and Klaus was anything but a complete joy, a professional experience and one of mutual respect. As I told Klaus one of the last times I saw him, he taught me one of my most valuable lessons in business; always give people your best price at first. That advice has served me well. You will miss your wonderful companion so much Lydia. So will many others of us. Pleasant memories of my friend in business and as a fellow Rotarian for many years. A very unique individual. So very sorry to hear of Klaus’ passing. Klaus was always such a gentleman and I always looked forward to his visits to Edmonton. I know the staff of Western Electric will miss his wisdom and guidance. Liz and I were extremely shocked and deeply saddened to learn of the passing of Klaus. The last time I spoke with Klaus it sounded like the treatments were having a positive effect on his condition so I naturally expected to be seeing him in the near future. Although, sadly, none of us will have the pleasure of seeing Klaus again, you can take comfort that his legacy will live on forever … ranging from his very impressive business accomplishments to his most generous philanthropic involvements … all the while maintaining a humble dignity. Our wish for you now is that all of your fond memories of Klaus will help you through this most difficult time. Please accept our sincer condolences on the death of your husband. Sorry to hear about Klaus. I was with Western Electrical as a Foreman for 25 years and got to know him very well. He was the nicest man I had ever worked for. My sympathies and prayers are for his wife and family. I’m very sad to hear of the passing of Klaus. I had the great pleasure of working and knowing Klaus for over forty years. My sincere condolences to his wife and family. I was so sorry to hear that Klaus had passed away. He was such a dynamic wonderful man, and you made such a terrific couple. I was always fascinated by your story. You , I’m sure will be feeling his loss for a very long time. I really enjoyed the times we spent together at Harvest in Kelowna, and visiting you and playing golf at Gainey Ranch. I am so sorry for you that he has been taken from you, just when he might have planned to retire and spend more time with you and the family. I am sorry that I will be unable to make it to the service for Klaus today. My sincere condolences to Lydia, David, and Kari. I was so saddened to hear of Klaus’ s passing. Although I only knew Klaus for a short time, he left a significant and lasting impression. Klaus was always friendly, warm, and genuinely interested in our neighbourly conversations. I also felt a strong connection with Klaus as he reminded me of my own father who I feel shared a similar integrity, warmth, and zest for life who unfortunately passed away on April 4 of this year. I know he will be missed and I send my love and compassion to you and your family at this difficult time. God Bless.